Everyone knows a little about the 20th century’s greatest president, Ronald Reagan. But few people know what’s in this course. From Reagan’s humble childhood to a student at Eureka College (where he became the only US President to lead a student protest) to his success as a lifeguard to his ascent to being a Hollywood actor, the course covers Reagan’s early life as he prepared for the world of politics. Reagan was president of the Screen Actor’s Guild, the only US president ever to head a labor union; he helped purge Hollywood (until recently, anyway) of communists; he served in the US Army Film Unit in WW II (denied combat because of terrible eyesight), and he became one of the first TV stars to come over from movies in General Electric Theater. But Reagan would leave his biggest mark on the world first as California Governor, then as President of the United States, where he had the twofold objective of restoring American economic power and prestige while defeating completely the evil Soviet Union. 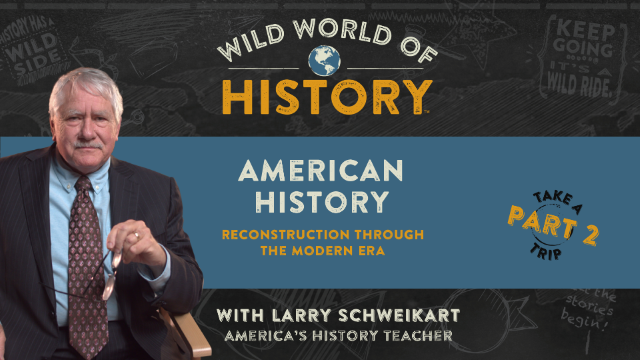 Learn the stories you never knew in this exceptional course built upon the new biography of Reagan, Reagan: The American President. 4. Hollywood, Here I Come! 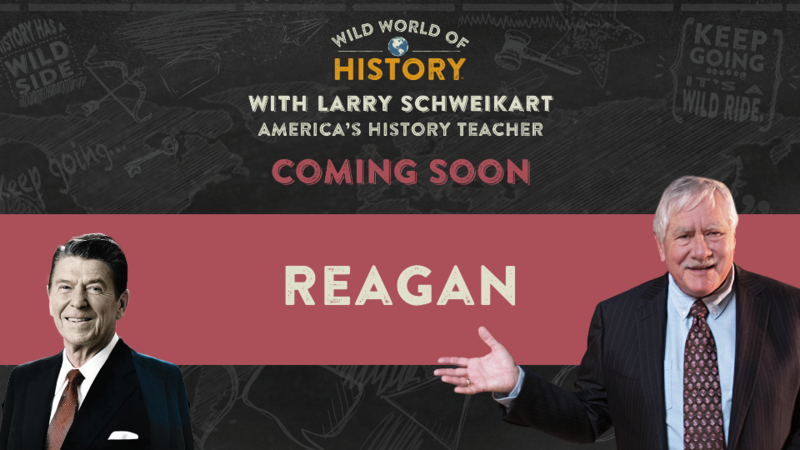 Learn everything you ever wanted to know about Reagan and even more since Professor Larry has access to never before seen materials, letters and documents. Please provide your email address so we can send you "Learn About Reagan: The American President". 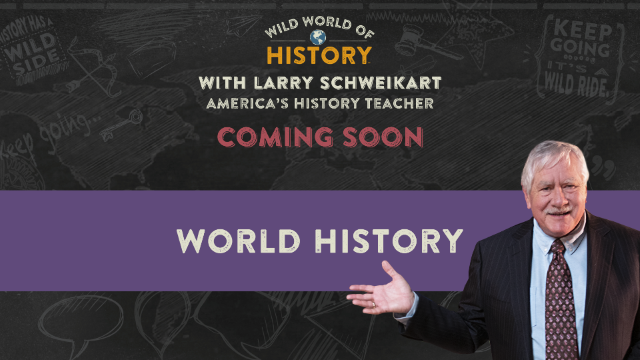 A link to "Learn About Reagan: The American President" was sent to Make sure the email arrives in your inbox: either add "support@wildworldofhistory.com" as a safe sender to your email platform, or if you use Gmail, drag our email into your Primary tab.